Cancer hardly spares anyone; the overwhelming majority of us have either already been touched by cancer or will at some point in our lifetime. This past year - both personally and professionally - I was reminded how terrifying receiving a cancer diagnosis is for so many patients and families. Through these experiences, I was also reminded how lucky we are to have Dana-Farber when presented with this challenge. On a daily basis, I get to witness the faculty and staff’s tireless efforts to conquer cancer. I learn about discoveries that are leading to better treatments options, I hear patient stories that inspire, and I observe the compassionate care provided by all my health care colleagues. I am truly humbled by this opportunity. This year I will again ride with Dr. Chris Sweeney. I have had the honor of working with Chris for most of my tenure at Dana-Farber. Chris is a perfect example of the incredible talent of Dana-Farber faculty. I have met many of Chris’s patients and each has told an earnest narrative of his remarkable care. But Chris is not only an outstanding physician; he is also a transformative scientist. He continues to lead research that is changing the landscape of treatment options for patients with a cancer diagnosis. 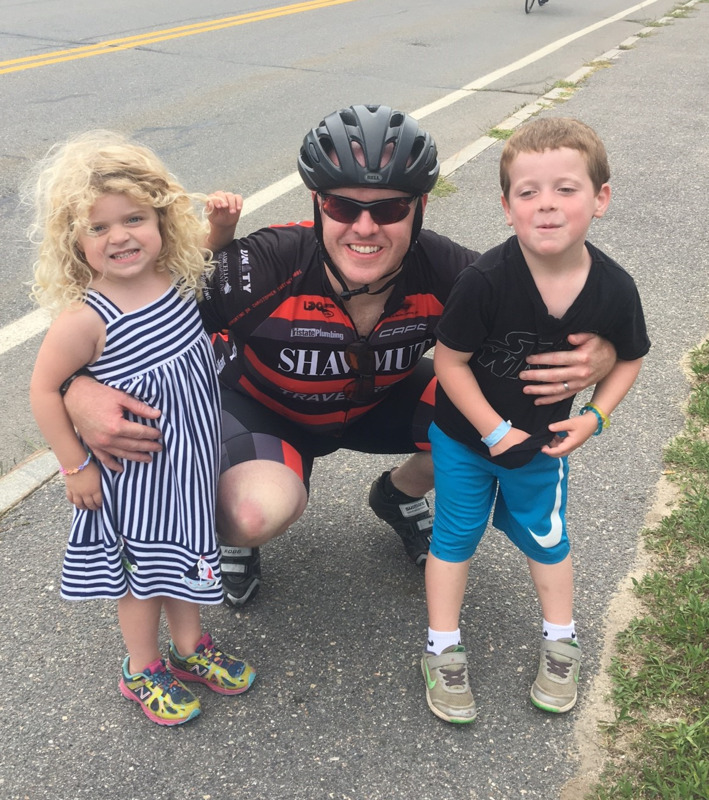 Philanthropy plays a large role in the success of Dr. Sweeney’s work and this organization, and I hope you will support my ride. Gifts of any size make a difference and all of it goes directly to Dana-Farber. P.S. pic is of my 2015/2017 chauffeur - thanks, ChrisTEN!